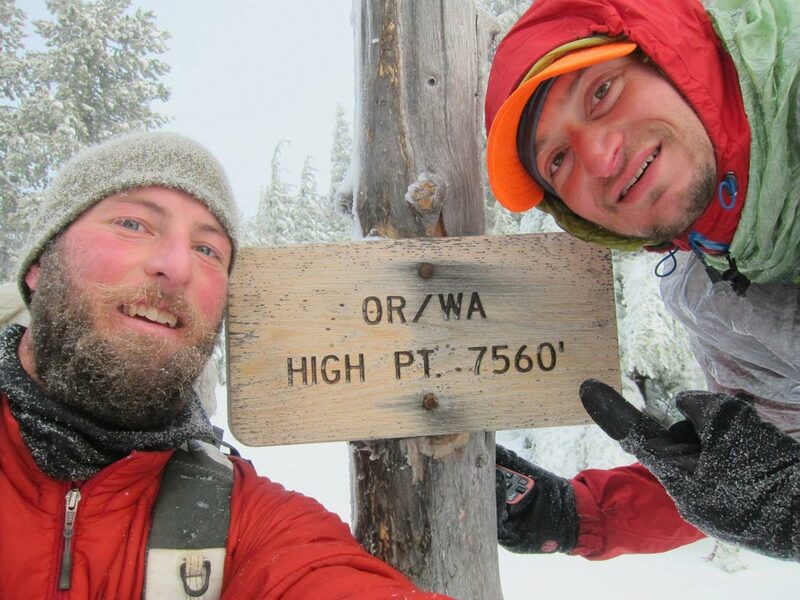 Shawn Forry and Justin Lichter are doing a winter thru-hike on the PCT this year. As you read this they are nearing Lake Tahoe, making their way towards Mexico. They’ve walked so far that the metal on their snowshoes is wearing thin. Soon, they’ll switch to skis. I visited with them at an all-you-can eat buffet recently. From frostbite and drenching rain to friendships and stunning and quiet landscapes, their journey is remarkable. And surely, only something that can be reasonably attempted by people as skilled, knowledgeable and experienced as these two. Follow along on their websites shawnforry.com and justinlichter.com. 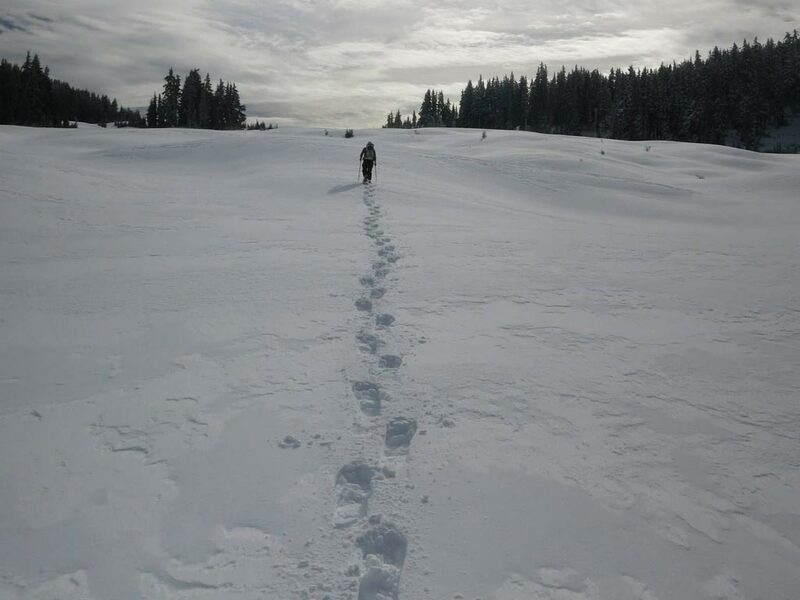 What’s been the biggest surprise from your winter thru-hike? Justin: I think the biggest surprise has been the weather. I expected a few more sunny days in between storms but they have been pretty much stacked up back to back the entire trip. Another surprise that has been terrific has been the outpouring, support and help from the trail community. Shawn: Honestly the fact that we are still on trail is a bit of a surprise! I jokingly gave ourselves a 17% chance of success at the beginning of the trip. Without resources to pull from the experiences of others, we have been heading chiefly into the unknown, despite months of planning and years of prior experience. The reality of attempting something for the first time necessitates a lot of flexibility, creative problem-solving along with a bit of determination and stubbornness. All joking aside, the thing I am most impressed and surprised by with the trip thus far is the support and encouragement from the trail community. Hands down it has been a highlight. Likely being the only ones on trail this time of year, a lot of focus and attention has been drawn to the trip and so many hikers along the corridor of the trail have come out of the wood work to help in anyway they can. Even just getting an encouraging email has been a game changer given the fact that we have seen literally no one else on the trail. It makes me proud to be a part of the trail community as a whole and you can really feel come interconnected and dedicated we all are over the experience of wilderness. The other surprise that comes to mind is how frequent and varied our foot issues have been throughout the entire trip. 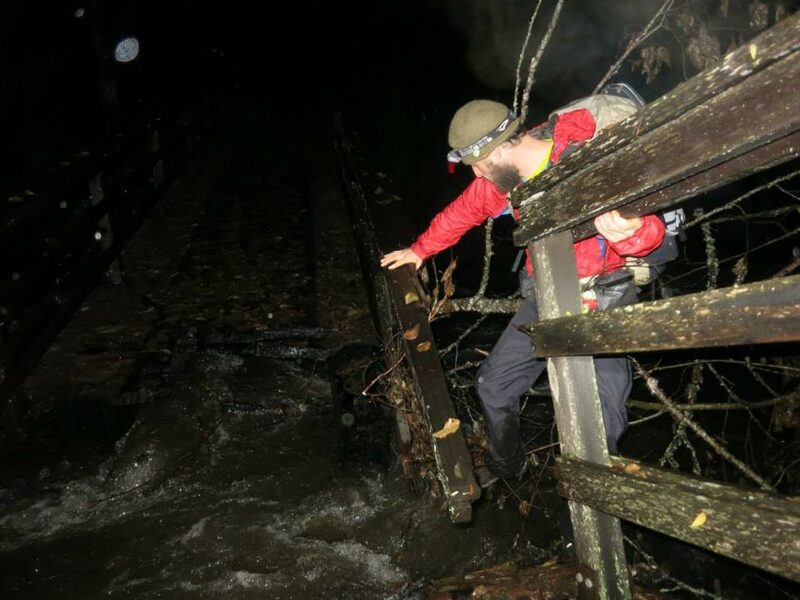 There have been very few miles without pain or ailment ranging from blisters, trench foot, athlete’s foot and even frostbite. 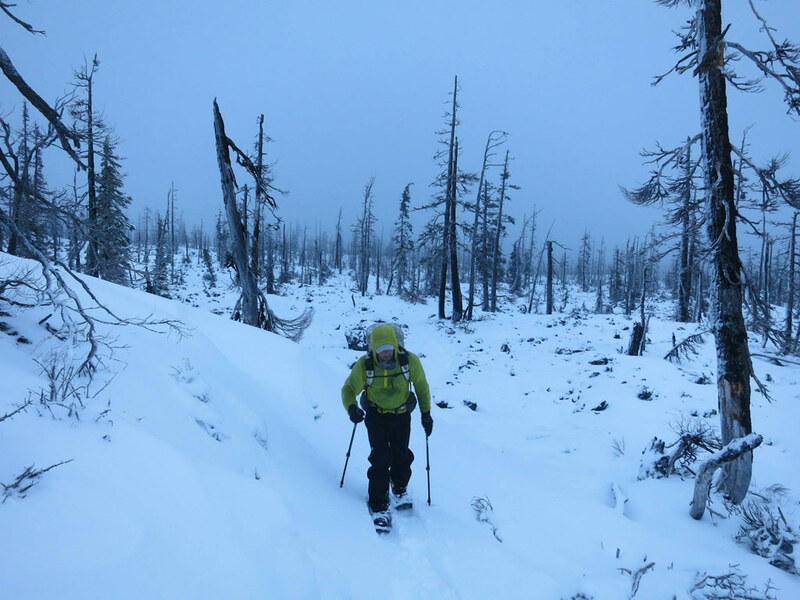 The constant cold and wet had pushed our previous experience in similar conditions to new limits. Once we transition to skiing, I fear a whole new set of foot pains will surely develop. 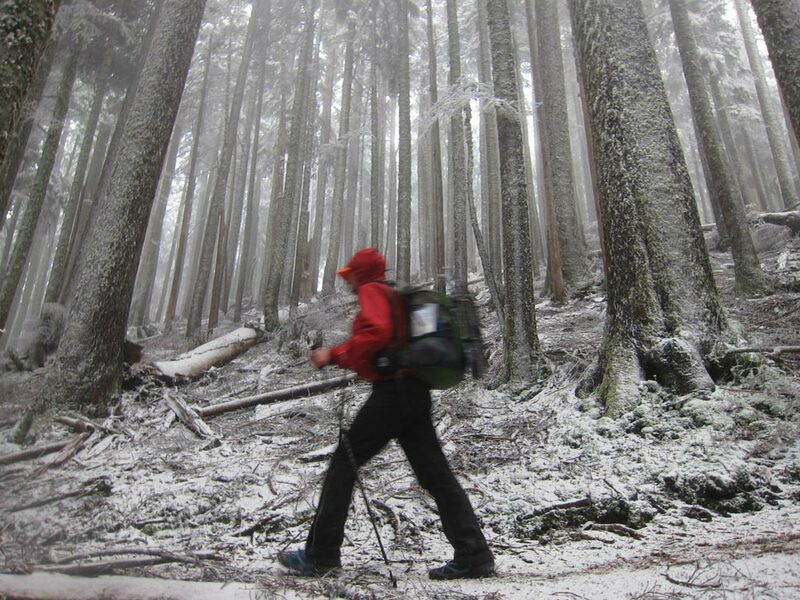 As far as you know, has someone done a winter PCT thru-hike before? 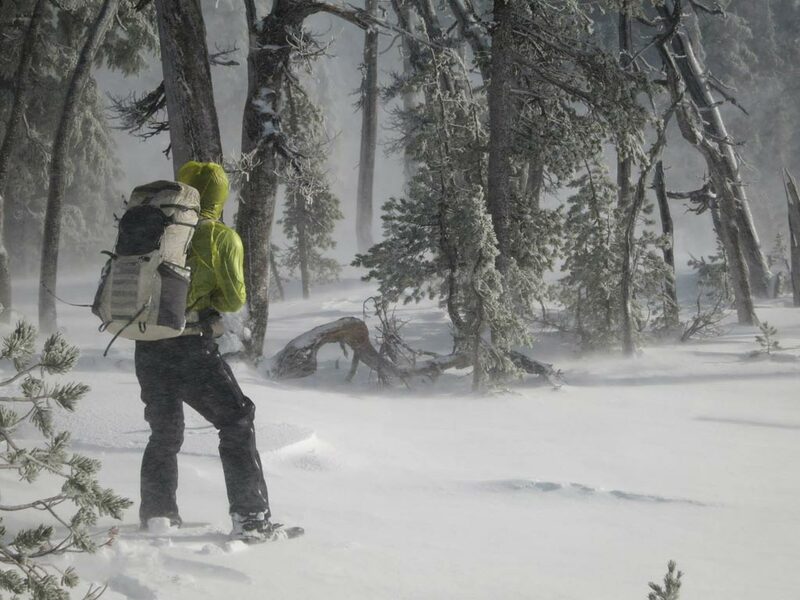 Do you know about any other long winter trips on the PCT? 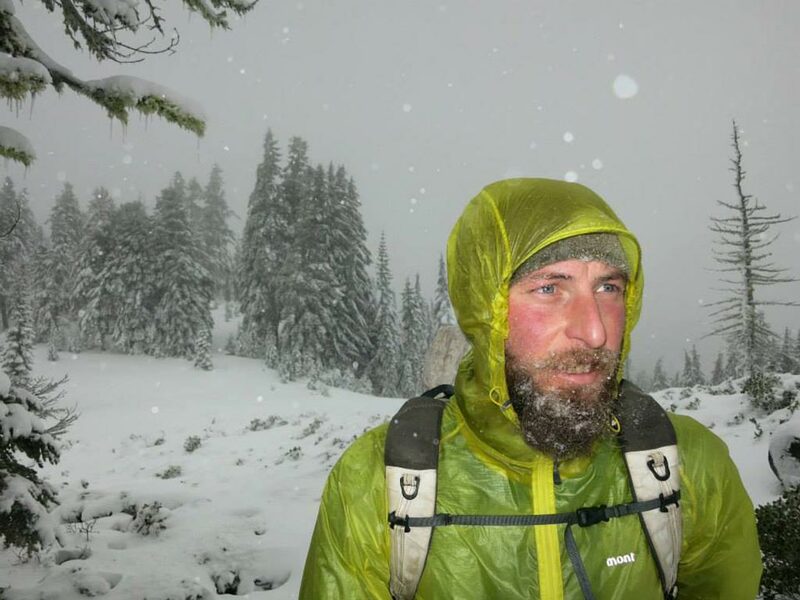 Justin: As far as I know nobody has done a winter PCT thru-hike before. Barney Mann mentioned one previous attempt in the ’80s that didn’t turn out well. 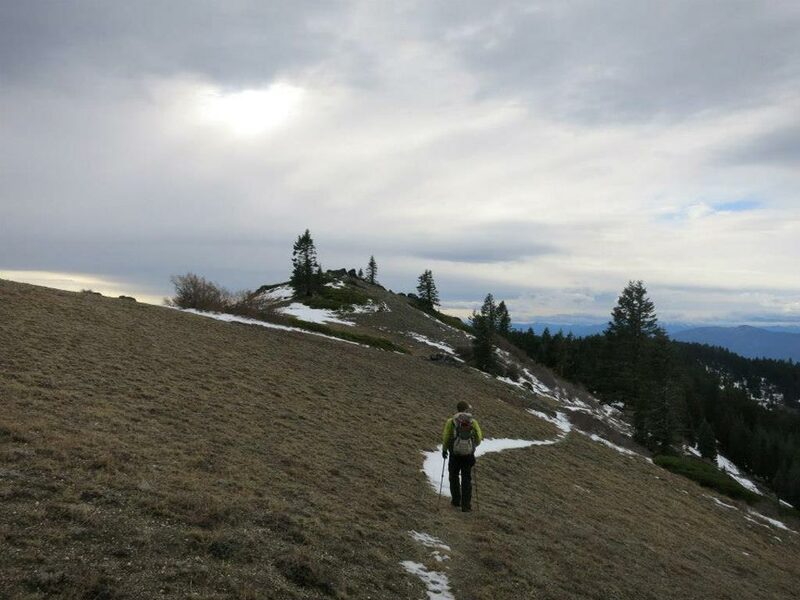 Shawn: Short sections of the PCT are hike-able year-round along the PCT. 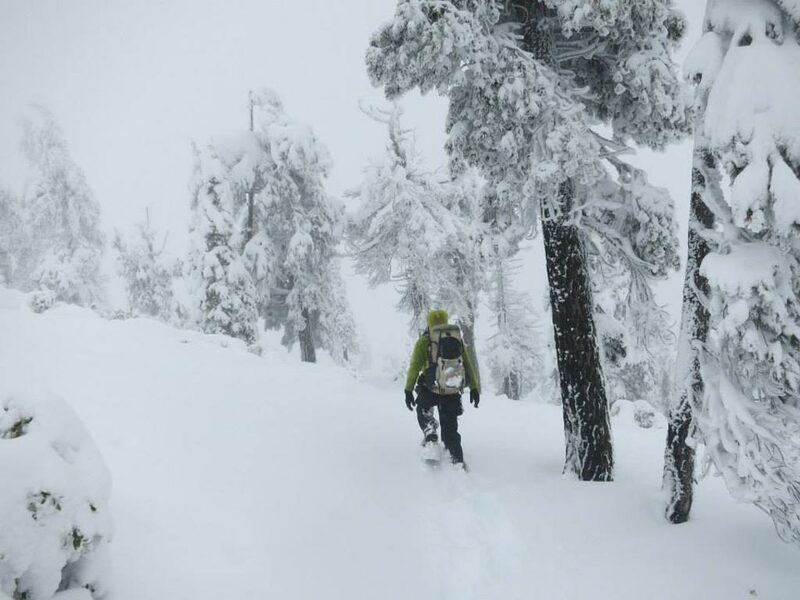 To my knowledge there have been only a few larger sections of the PCT attempted in the winter, namely along the John Muir Trail corridor in the High Sierra and other shorter ski tours through the Cascades. I know of only one other thru-attempt that took place in the 80’s by a husband and wife. My understanding is their attempting ended tragically around the Wrightwood area on their northbound attempt. I think this highlights the seriousness of what we are attempting and the skill that is required in order to even consider an attempt. 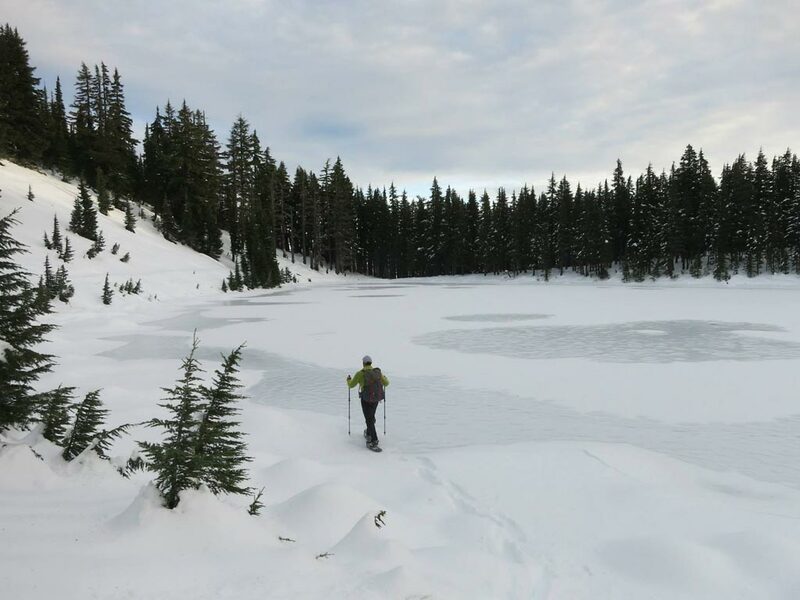 The margin of error is incredibly small in winter conditions above and beyond the effort is takes to successfully complete a summertime hike of the PCT. List off the 5 most major skills required for such an attempt. Communication and sound decision making. 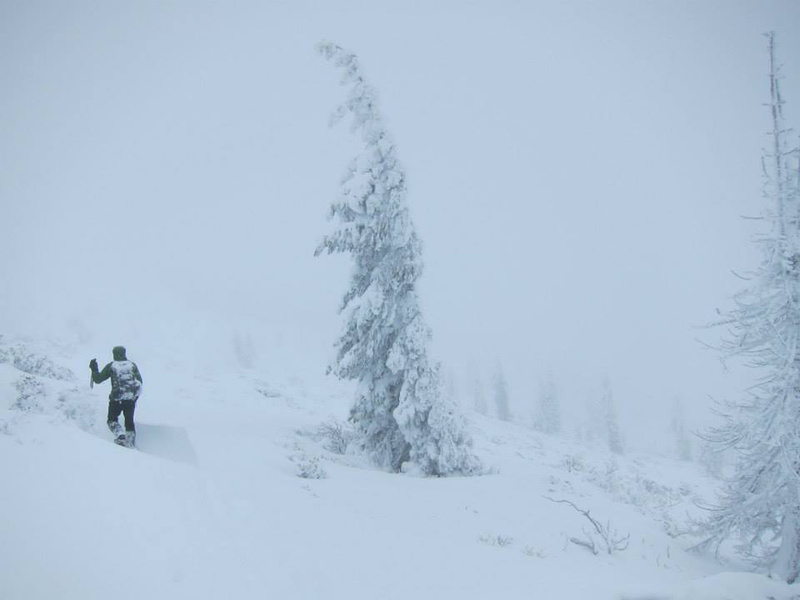 Conditions are extreme and things can change in the blink of an eye during winter conditions. It can be easy to get sucked into a goal-oriented agenda. Trauma and I have hiked extensively together and know each others style quite well. Knowing our own personal limitations as well as one-another is a huge asset. Solid navigation. 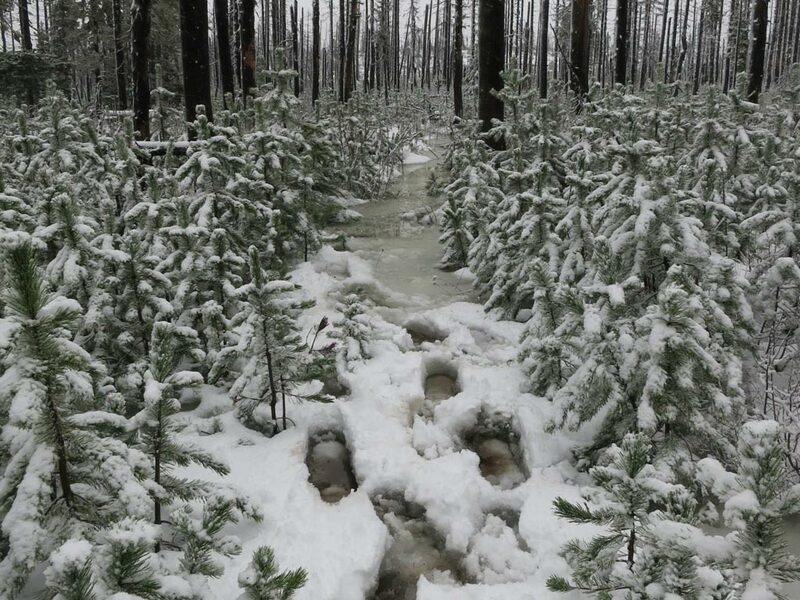 The convenience of maintained and signed trail tread is largely irrelevant during a winter thru-hike. 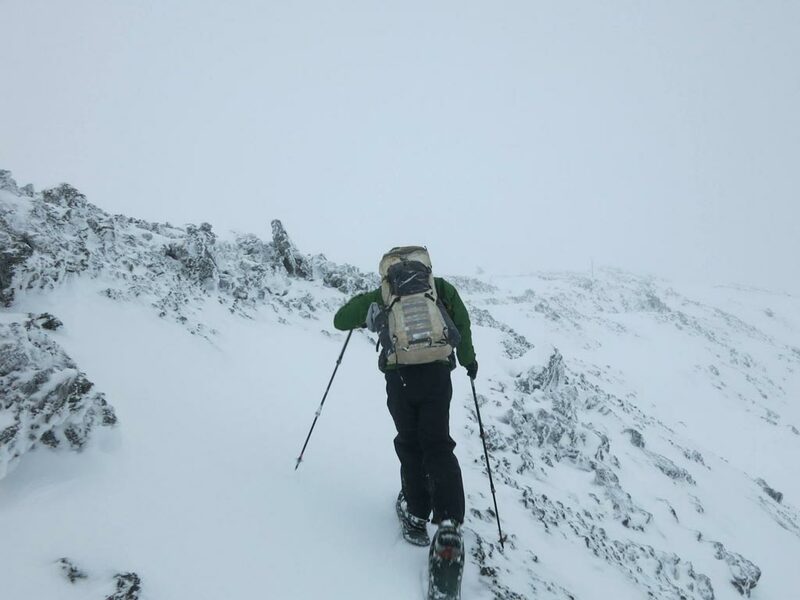 White out conditions are frequent and the ability to navigate by map and compass is essential over the reliance of GPS or similar electronic devices. The irony of GPS units is that they are unreliable during poor conditions since satellite signal is obstructed and battery life is cut short by the cold. Patience and flexibility. Weather is fickle at best and can easily thwart best laid plans. Flexibility in route, and patience in pace are a sharp contrast to your typical summer thru-hike. Even ironing out the details of proper gear takes a lot of trial and error through the varied conditions we’ve seen. Understanding of snowpack. 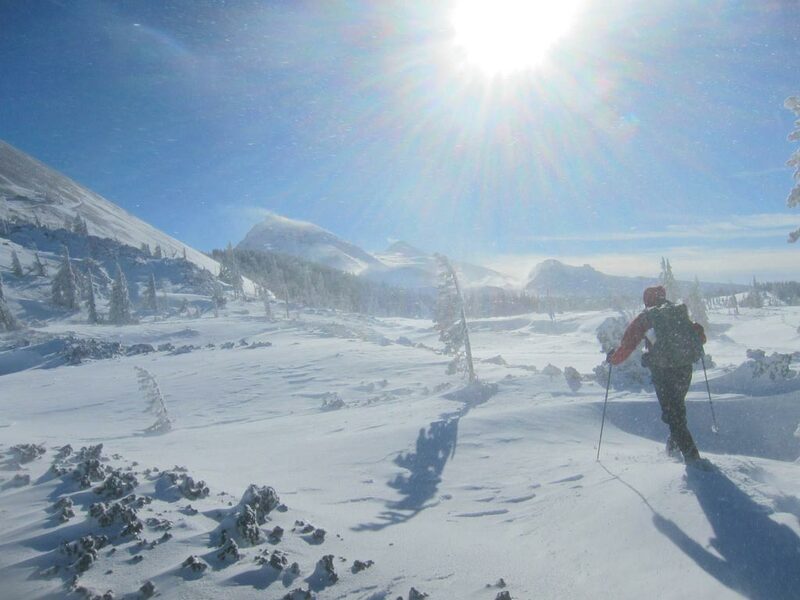 Avalanche danger is a real and legitimate threat during the winter in alpine environments. It is crucial to be able to track and assess condition on the fly as some of the most dangerous areas coincide with the most remote regions. Winter camping systems. 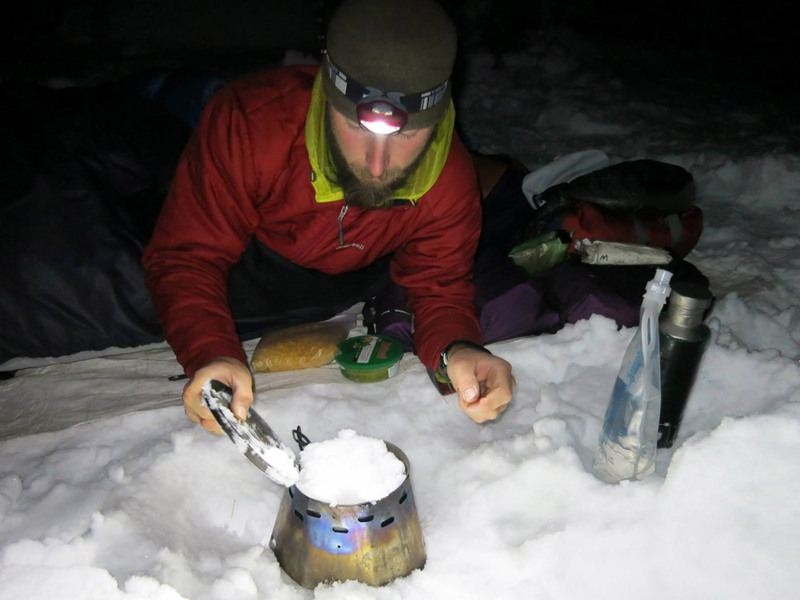 Obviously having your winter camping systems dialed can mean the difference between being comfortable and getting dangerously cold and wet. It takes constant care and consideration to stay dry in the winter and mistakes can multiple quickly. Without dialing in your creature comforts, a long miserable slog will be in short order. Shawn “Pepper” Forry is on the left. Justin “Trauma” Lichter is on the right. 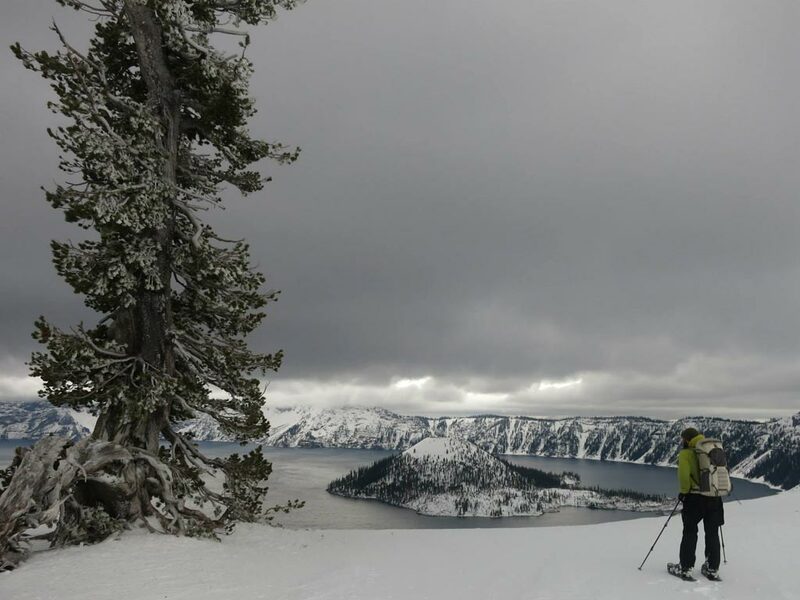 Justin Lichter (justinlichter.com): When not hiking, I am a ski patroller. 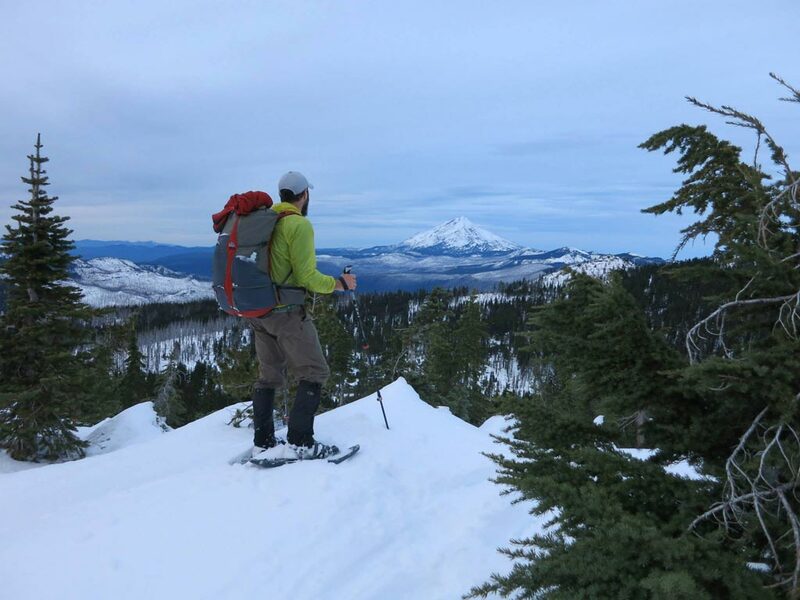 I enjoy backcountry skiing, nordic skiing, snowshoeing, mountain biking, surfing and anything else active. Since 2002, I have hiked over 35,000 miles. In 2002 doing a cross-country map and compass trip through the canyon country of southern Utah, in 2003 hiking from Georgia to Cap Gaspe, Quebec following the Appalachian Trail and International AT, 2004 hiking the Pacific Crest Trail from Mexico to Canada and then the Pacific Northwest Trail to the Washington coast, 2005 the Continental Divide Trail from Mexico to Canada then continuing on the Great Divide Trail from the Canadian border up into northern Alberta, 11/1/05 to 10/23/06 completing the Eastern Continental Trail (Cap Gaspe, QC to Key West, Florida, incorporating the AT), Pacific Crest Trail, and Continental Divide Trail in under a year, a total of over 10,000 miles, and in 2007 a traverse of the Southern Alps and the South Island of New Zealand. 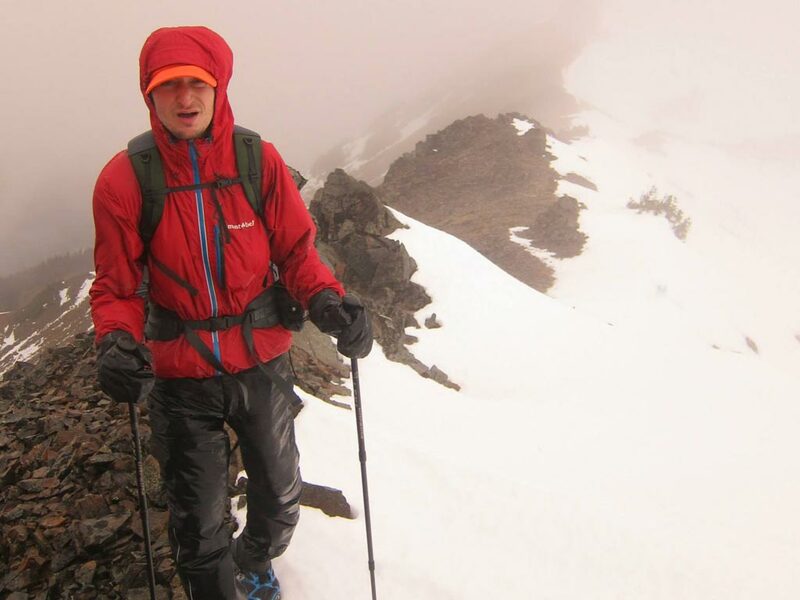 The list keeps going including in 2009 hiking 1,800 miles unsupported through Africa, in 2011 hiking about 2,000 miles across the Himalaya Range, and in 2013 completed a 500 mile traverse of the Copper Canyon region of Mexico. Shawn Forry (shawnforry.com): Shawn ‘Pepper’ Forry was born in York Pennsylvania, right down the street from Earl Shaffer himself. With over 20,000 miles of backpacking experience, Shawn is best known for pioneering long distance routes such as the Great Himalaya Trail across the spine of Nepal and the Te Araroa through the southern Alps of New Zealand. 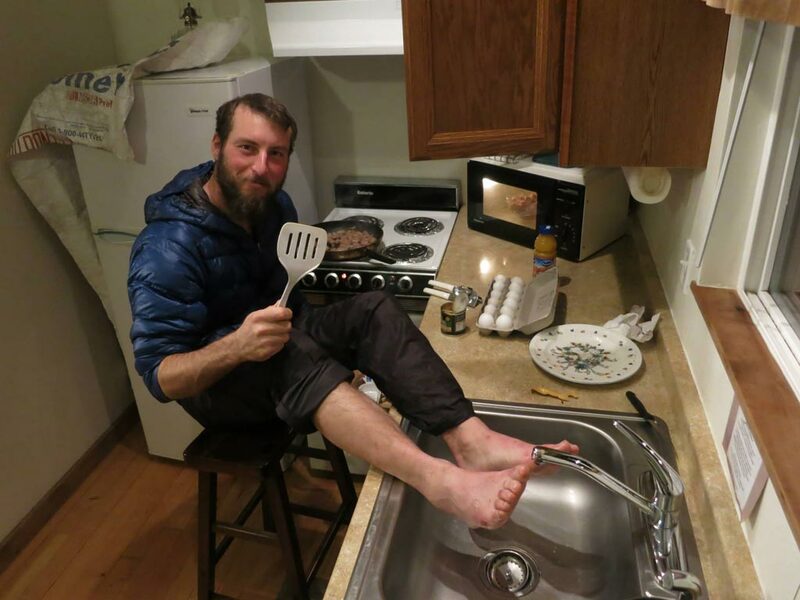 Shawn incorporates ultralight ethos both on the trail and off, and currently holds the unsupported fastest known time for the Colorado Trail. A Triple Crowner by 25, which fewer than 300 people have completed, Shawn is inspired by new landscapes in far corners of the world and by pushing personal limits. When not on trail, Shawn is a Program Manager and field instructor with Outward Bound.